Popular seaside resort with one of the best sunshine records in Scotland. Long stretches of sandy beaches. Easily accessible by public transport. Regular buses and trains operate between Inverness and Aberdeen via Nairn. The town has many shops, cafes, take-aways, restaurants, leisure park, banks and two championship golf courses. The Moray Firth Trail has a useful web site with walking paths and maps. See visitnairn.com for a wealth of visitor information about Nairn. Nairn has free public WiFi thanks to Highland Council. Log on with your social media details or by entering your email address. SKY Delights in Leopold Street is a great organic, vegetarian deli and coffee bar with homemade goodies and specialist fine foods. The Nairn Highland Games usually take place on the third Saturday in August (tel: 01667 458 508). The Nairn Show (tbc 27 July 2019) with livestock exhibitions, craft fair, food stalls and amusements is held at Kinnudie Farm, Auldearn. The Nairn Golf Club hosted the 37th Walker Cup in September 1999. Many other local events are held each year, especially over the summer. Visitors may enjoy the Nairn Ceilidhs which take place every Thursday at 8pm. from mid-June to end August at Nairn Community & Arts Centre. The Nairn Book and Arts Festival is 10 - 15 September 2019. Nairn Museum in Viewfield House, Viewfield Drive is open Easter - October Monday - Saturday 10am - 4.30pm. Small admission charge. In addition to its numerous display rooms, the museum also has genealogy information for Nairn & Nairnshire including Cawdor, Croy, Auldearn, Ardclach, Petty. Tel: 01667 456791. Bowhunter Archery (3 miles from Nairn) offers Alternative Field Archery, 3D targets or Combat Archery (a bit like Paintball). Available for corporate groups, parties, etc. Situated is in the Balnagowan Woods along the B9092 (the road from Nairn to Ardersier). Mobile: 07923 111997 / 07753 426141. Well worth a visit. Lovely grounds and many furnished rooms open to the public. Located close to the Brodie Countryfayre store on the Inverness-Nairn-Aberdeen road. Accessible by local bus service (approx. 1 km walk). Open daily (except Christmas and New Year). Guided tours run every 30 minutes. The wooded grounds are open all year round every day. Brodie Countryfare is a great place for browsing clothes, homeware and gifts. It has a wonderful gourmet food hall with lots of Scottish specialities and a restaurant. Open daily. Tel: 01309 641 555. 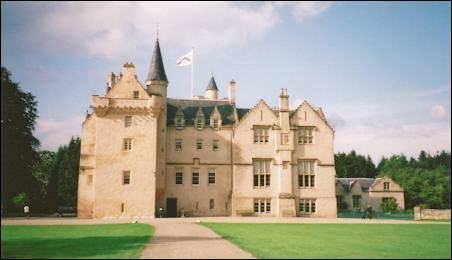 While in the area, don't forget CAWDOR CASTLE which is between Inverness and Nairn. The castle and grounds are open daily from 13 April to 6 October 2019 between 10am and 5.30pm. This village is 3 miles east of Nairn on the road towards Forres. Historical points of interest include the site of the battle between the Covenanters and the Royalists in 1645, the Boath Doocot and the parish church dating from 1757. 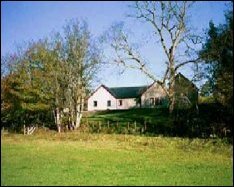 Dalmore Church (1 mile up Lethen Road) is now used to sell a wide variety of antiques - quite a treasure trove apparently (telephone 01667 453 087). For accommodation with a friendly welcome, visit The Covenanters' Inn. The original part of the Inn was the Mill and Brewhouse for the people of the area. Today there is a restaurant and lounge bar where you can sample the local produce. One of Scotland's oldest towns, Forres was used by Shakespeare as the setting for his play Macbeth. On Victoria Road is the Witches' Stone where supposed witches were burnt up until about 200 years ago. Founded by Hugh Falconer and his brother, the Falconer Museum has exhibits on the natural history and geology of the area. The town's most impressive sight is Sueno's Stone which stands 23 feet tall and was carved with battle scenes possibly as long as 1000 years ago. On Cluny Hill an eight-sided tower commemorates Lord Nelson. Forres also has squash and tennis courts, plus a swimming pool. The Forres Highland Games are in July. Benromach Distillery on the outskirts of Forres is the smallest working distillery in Speyside. Guided tours and gift shop (open October to April). Tel: 01309 675968. The Forres Gazette is a good source of local news. Miele's of Forres started producing ice-cream here in 1930. It is based in The Northern Fish Restaurant (at 28 High Street) which renowned for its fish & chips (eat in or take away). They also produce ice-cream cakes! 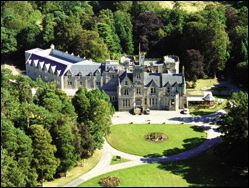 Three miles west of Forres, you can go on tours of the Darnaway Estate to see the farm, forest and castle. The Burgie International Horse Trials take place each year in June. Look out for signs just off the A96 near Forres. 6 miles south of Forres is Logie Steading which encompasses an art gallery, walled garden, garden shop, tea room, crafts, antiques & rare books for sale, etc. Open every day from the end of March to Christmas, 10.30am - 5pm. Phone 01309 611278. 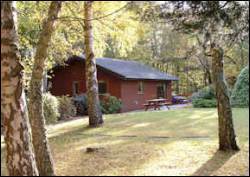 Plus holiday accommodation and fishing on Logie Estate. Kinloss is home to the RAF base. 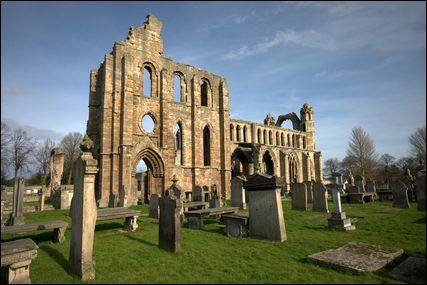 You can visit the ruins of Kinloss Abbey (the largest Cistercian Monastery in the north of Scotland), free admission. The House of Automata has a micro museum of inspiring wonders, an interactive exhibition, a visible workshop and a shop full of curiosities, scientific wonders and moving gifts. Open Tuesday to Saturday 10am - 5pm. Located at Seapark in Kinloss. Tel: 01309 691 212. The Loft at East Grange Farm near Kinloss has a bar and bistro which hosts a varied selection of live music. Activities available on the farm include trout fishing, quad bikes and Biathlon target shooting. There is also a campsite with Wigwams for hire (tents and caravans welcome). Tel: 01343 850 353. Home of the Findhorn Foundation which has residential courses and workshops, also a cafe, community shop (organic foodstuffs, crafts, spiritual books, etc. ), recycling facilities. The Ecovillage includes ecohousing, organic gardens, recycled whisky barrel houses, pottery, weaving and art studios, plus wind power generator, etc. Visitor centre open daily during the summer. Self-guided and guided tours available. Adjacent to the Findhorn Foundation community, the Moray Art Centre includes exhibitions and artists' studios. Tel: 01309 692426. If you like the great outdoors, check out the Culbin Forest and Culbin sands. Situated just along the coast from Findhorn. Sandy beach, harbour, unique ancient well, old churches, visitor centre (open daily 12 - 4pm). Lots of Pictish history. For more info visit the Burghead Headland Trust and the Burghead page by Angela Oatridge. The Equus Equestrian Centre at Roseisle can offer lessons and pony trekking days out (tel: 01343 835036). The Burning of The Clavie takes place here on 11 January every year to celebrate the 'old' New Year. Granary Wharf Villas offer a choice of 3 self catering properties overlooking the harbour. Taigh-togalach is a 3 star holiday cottage available for self catering in Burghead. Curlew Cottage is a 4 star self catering property with 2 bedrooms, located in Burghead. Known as the Lantern of the North, the cathedral was founded in 1224, but destroyed by the Wolf of Badenoch in 1390. Second in size in Scotland only to St Andrews cathedral. Now in the care of Historic Environment Scotland, the ruins of Elgin cathedral can be visited all year round (admission charge). Other attractions include an old meal mill, the Moray Motor Museum and the Elgin Museum (which has a large collection of fossils and Pictish stones). The town has a shopping centre, post office, banks, bars & restaurants, supermarkets, leisure centre, and a tourist office. Nearby you will find Millbuies Country Park. The local Farmers' Market is held in Elgin on the last Saturday of every month. For a list of shops & restaurants in the main shopping street of Elgin, visit the Elgin BID web site. Johnstons of Elgin is a well known shop and 5 star visitor attraction including coffee shop. They produce high quality Scottish cashmere clothes and gifts. Free guided tours around the mill. Tel: 01343 554099. Six miles south of Elgin is Pluscarden Abbey which was founded in 1230, burned down by the Wolf of Badenoch (he was a busy man) and restored in the 1940s. It is now the home of a religious community and is a centre for spiritual retreats. Three miles south of Elgin is Birnie Church which dates from the 12th century and is thought to be the oldest parish church in continuous use for worship in Scotland. Dedicated to St. Brendan the Navigator, the church contains something called the Hairy Bible which was bound in calfskin in 1774. Just north of Elgin are the ruins of Spynie Palace - a tower built around 1470, once the residence of the Bishops of Moray. Queen Mary stayed here in 1562. Today it is 3 miles from the sea, but originally Spynie was on the coast. It is thought that perhaps sand and shingle cut it off from the sea in the 17th century. Four miles north of Elgin are the ruins of another castle - the impressive Duffus Castle which is surrounded by a moat. This typical Norman castle was built in the 14th century on the site of an earlier wooden construction. 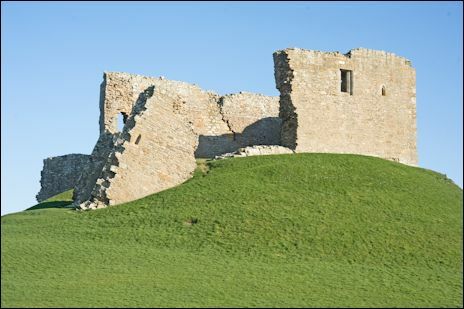 The original seat of the Moray family, it is one of the finest examples of a motte and bailey castle in Scotland. Today you can walk across the cobbled causeway and explore the stone ruins. Free admission. Open all year. It is in the care of Historic Environment Scotland. Set on the coast, just a few miles from Elgin, Lossiemouth is known as the 'jewel of the Moray Firth'. Outdoor enthusiasts can enjoy miles of sandy beaches, 2 golf courses, walks, cycling trails and look out for dolphins. Visit the local web site Lossiemouth.org for full details and also see the page on Wikipedia. The Lossiemouth Fisheries & Community Museum includes a reconstruction of the room used at his home by James Ramsay MacDonald (the first Labour Prime Minister of Great Britain) who was born in Lossiemouth in 1866. The museum is open from May to September for a small admission charge (children free). The town is also home to RAF Lossiemouth where you can often see aircraft flying in and out. Based here is Outf!t Moray - an outdoor education charity offering activities, courses and tailored programmes for young people, adults, families, and groups. Walking, climbing, abseiling, ziplines, mountain bikes, canoeing, kayaking, surfing, bodyboarding, duckies, white water rafting, sailing, teambuilding, archery, camping expeditions, bushcraft, orienteering, etc. Equipment hire available (mountain bikes, camping & outdoor gear, etc.). Tel: 01343 549571. Read about all the museums in Moray. Check out The Speyside Way which stretches from the coast at Buckie inland to Kincraig near Aviemore. There are 2 offshoots to Dufftown and Tomintoul. House Of Mulben near Keith offers fly fishing, clay pigeon shooting, quad biking, archery, off road driving and zorbing with the Mountain Ball. For corporate groups, families, stag and hen parties and any groups of up to 80 people. Stalking and shooting on the estate also available. 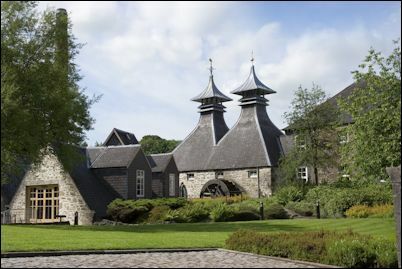 scotchwhisky.net includes a map of all the Speyside whisky distilleries. overlooking Nairn Golf Course and beyond to the Moray Firth. Former mansion house built in 1872. AA Rosette Restaurant. Lounge bar offering bar lunches and suppers. 56 ensuite bedrooms with satellite TV, telephone, etc. Children welcome. Dogs welcome (extra charge). 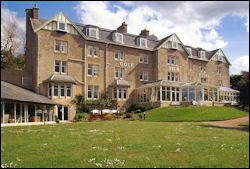 B&B prices from £49.50 per person. Tariff starts at £800 per week.